In the past year, the topic of food waste as been brought more clearly into my life. 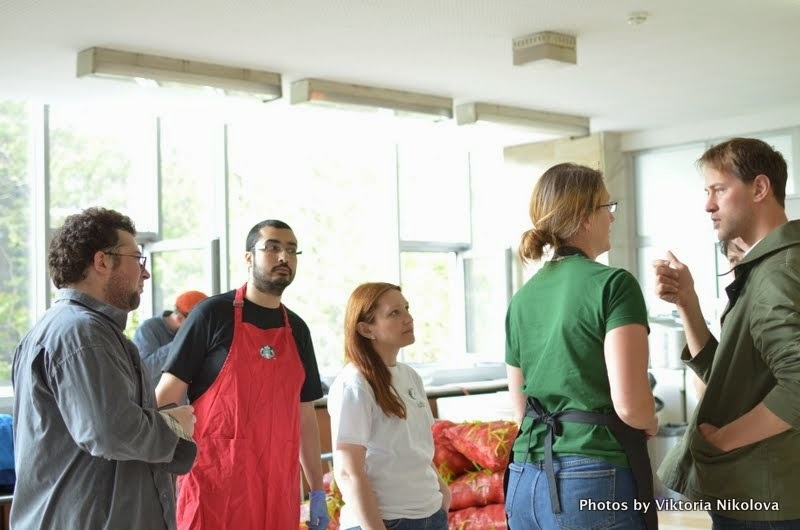 It started with helping to found the Slow Food Youth Network Sofia, working with the Bulgarian Food Bank and helping to organize a Disco Soup with Tristram Stuart of Feeding the 5000 with the Dafar Shaban. His passion for the issue of food waste helped to alter my priorities in regards to my food activism. I will always put a higher priority towards edible education and building gardens, but recently, I am trying to compost less fridge waste and be more creative in the kitchen. Last night, I was left with few options for dinner. I could have gone shopping and bought some stuff to make exactly what I wanted, but I thought maybe I should just find inspiration from what was getting funky inside the fridge, most of the veggies were left over from Thanksgiving, so they were not at their peak. These were the ingredients that I selected to work with. I had some baby cabbages and celery too, but I was saving them for dinner this weekend and my ever-growing liters of chicken stock. The skinless turkey leg was a gift from a neighbor, but it was just one and I didn’t quite know how to use it for the 5 of us, so I opted to do a braise with lots of veggies. I browned the turkey leg, then removed it, you can add a bit of oil if you don’t have any extra fat from the meat to sautéed the onions, add onions and cook till they had a bit of color on them and softened, added the garlic and sautéed till aromatic about 30 seconds, then added the leg and piled all the veggies in, which I cut into largish chunks. Then I added about a cup of stock, brought it up to a simmer on the stove top, then tossed it in the pre-heated oven (325F/ 160C) till the meat was tender. I made a few errors with the dish. I should have reserved the veggies, minus the onions and garlic till about an hour before the meat was to be done. After 3 hours, slowly cooking the veggies turned to mush, which wasn’t too bad, it had the texture of a soup/stew, but as luck would have it, we had no bread to sop up the delicious juices. I also had a beet, which I roasted for Thanksgiving and forgot about. It started to go a bit moldy on top, but I cut off the skin and it was still alright on the inside. I made a quick shallot vinaigrette and tossed the beets, added some crumbled blue cheese and some toasted walnuts. Delicious! Another few things I managed to squeeze out of the fridge was a cherry, kiwi yogurt smoothie. I think this is the start of a great weekly tradition. Why Friday? Well, freeing up space in your fridge has a few F’s, so it makes a catchier name than Fridge Free-Up Wednesday, but also I like to stock up on my fresh veggies every Saturday at the Kyustendil farmers market and the crisper bin is quite small. Please share with you your successes and failures via social media at Facebook.com/eating.gardening.living or via Twitter @caseyangelova. 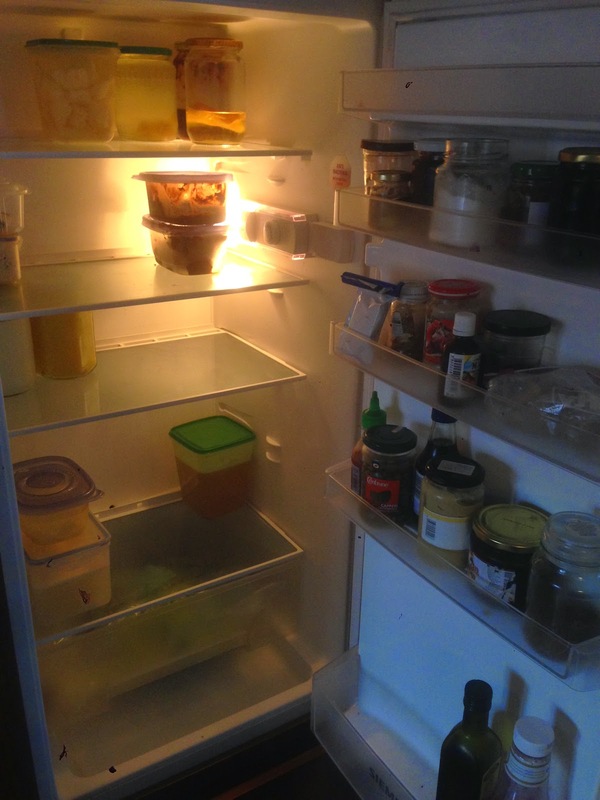 If you do share please use the hashtag #FridgeFreeUpFriday Even include a before and after photo of your empty fridge! 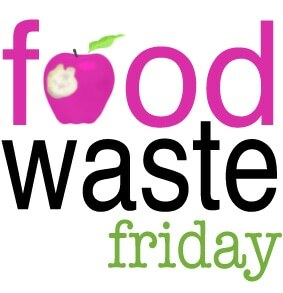 There is another blogger that I stumbled upon The Frugal Girl, who organizes a #FoodWasteFriday. Check her out!